We are just starting our third week of classes and things had been running fairly smothly until now. My grade 1 and 2 (7th and 8th) classes are split up between high and low levels. The high level has 30+ kids, and the low levels have about 7. I see the high level classes every week, but the low level only every other week. Last week I taught low grade 2 for the first time and even though most knew very limited English, they were still well-behaved for the most part and tried to listen. This week I had my first grade 1 low classes, and that is a whole different world. Our first school week – We made it! So our first week of school was pretty calm. Mainly just got accustomed to the school and observed a few classes. Seems like the kids are pretty excited to have us there, so hopefully we have a good first week of lessons next week. From what I’ve noticed, the 1st and 2nd grade classes (7th and 8th graders) seem to be pretty well behaved, just saying Hello and How are you, when we pass in the hall. But then when I get up to the 3rd grade floor (9th graders), that’s a different story. I am basically malled as soon as I walk upstairs, with the kids shouting English at me trying to get my attention and laughing hysterically and pushing each other out of the way. 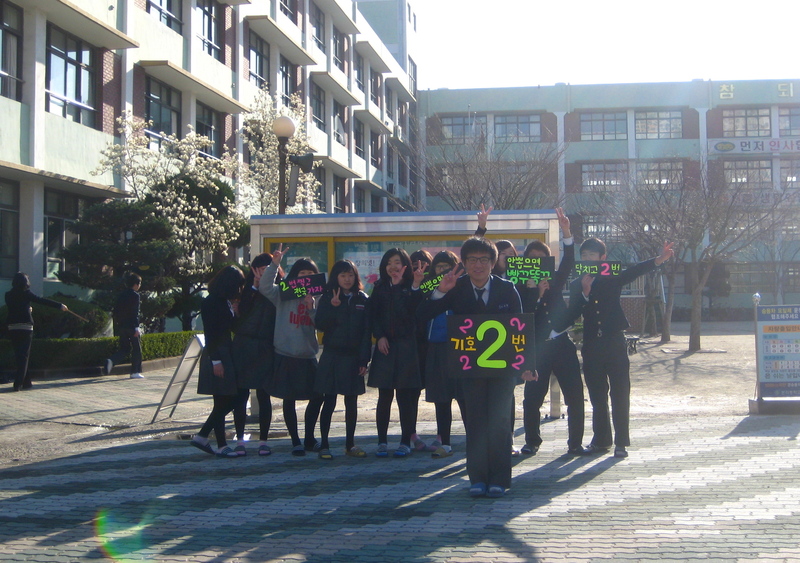 The one 3rd grade class I observed, the students in the back all kept trying to get my attention and kept asking me if I speak Korean. When I finally made the mistake of saying No, they were thrilled. They are already planning their revolt. So, we made it through our first week of work in Korea and went out to celebrate a few birthdays and spend some quality time having actual English conversations. 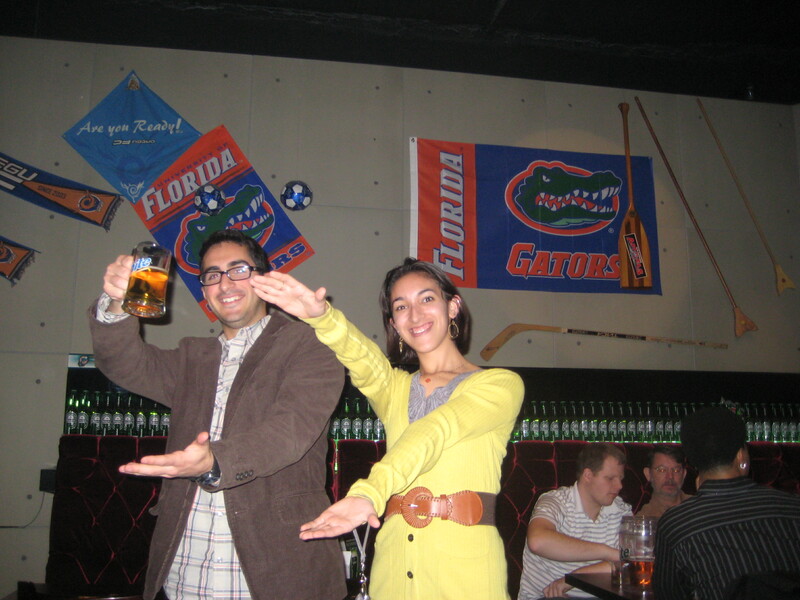 The expat bar we went to – Billibow – even had a little slice of home as they had all Florida sports teams posted on the walls! After that we had our first experience with a club in Korea, and it was quite entertaining, pics here. Check out the video if you’re curious what Koreans dancing to techno music looks like. Stay tuned for updates about our first days of teaching!